This is a black embossed aligatior with ultra-suede lining. This tote has four pockets and five-leaf concho's. 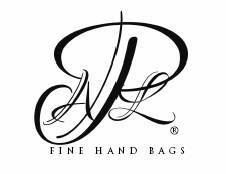 Finally we have brought our newest line of bags into production. For all of you who have requested something with a little more Western flair. It's the raspberries! This tote is made with black ostrich, silver concho's and a scrumptious pattern which reminds us of the spring/summer berries that have come into season. The inside lining is a bright pink, which adds to your ease when searching the bottom of the bag for those items which are always out of site. "One of a Kind" for the summer or fall season. Whether it's embossed or natural alligator, the quality of our newest bags will make you feel the eligance of a product crafted with pride and worth the value. You certainly are worth it!